Manchester's Chimpo comes 'Out an Bad' on Exit with five caricatured footwork/jungle and hip hop mutations. 'Restless Leg Syndrome' stretches out first with a rapid footwork/jungle flex; 'Haymaker' drops cold instrumental hip hop weight. 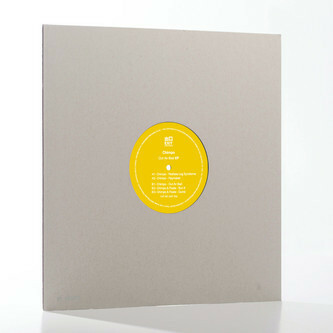 On the potty-mouthed 'Out an Bad' he sounds like some mad lad on the backseat of the 86; 'Bun It' rolls with a minimal D&B sound voiced by Fixate, who also appears on the bubbling mutant swing of 'Dumb'.